Our favourite thing about this private residence isn’t the lighting: it’s the spectacular view. 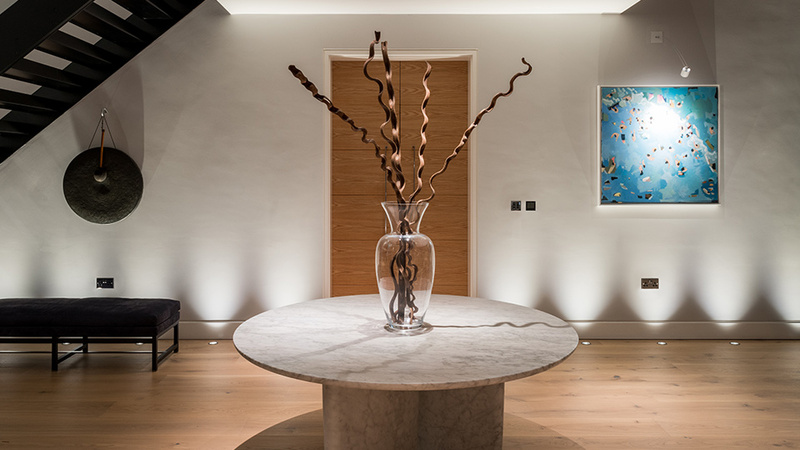 But the lighting does come a close second and we’re delighted to have worked on the scheme for this fabulous home on England’s coastline. 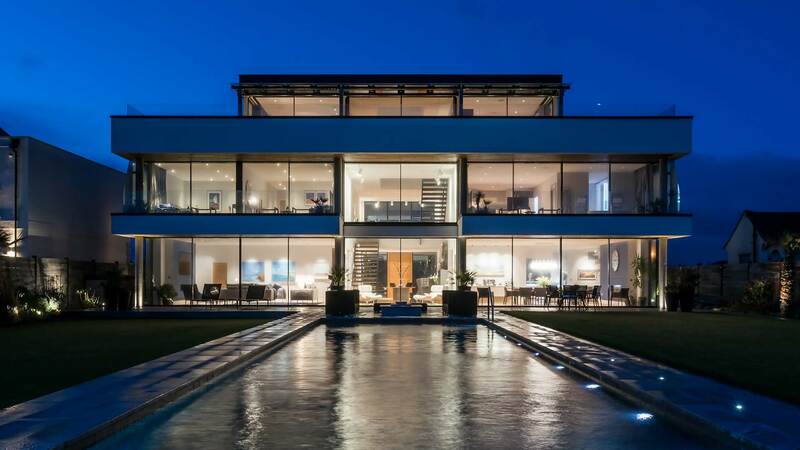 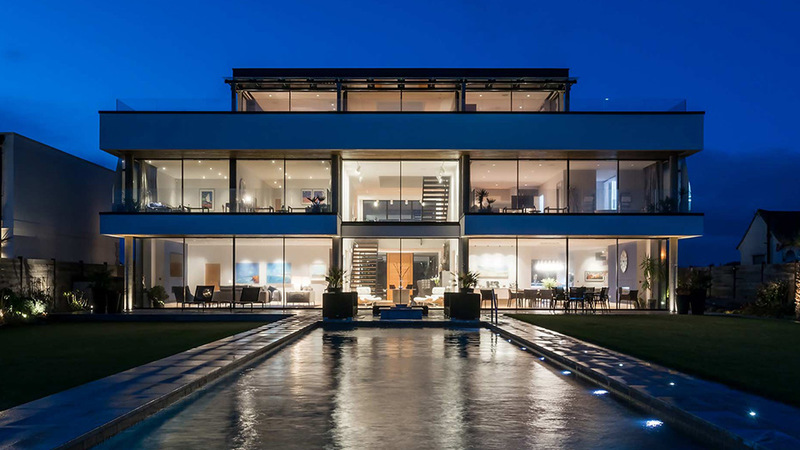 The property’s large footprint surrounds a commanding atrium with an outlook of the expansive infinity pool and sweeping sea views. 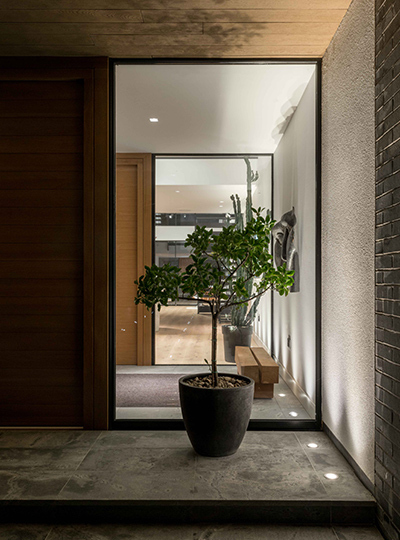 To emphasise and open up the double-height part of the atrium, and to provide ambient illumination throughout, we opted for track lighting to gently highlight the walls from floor to ceiling. 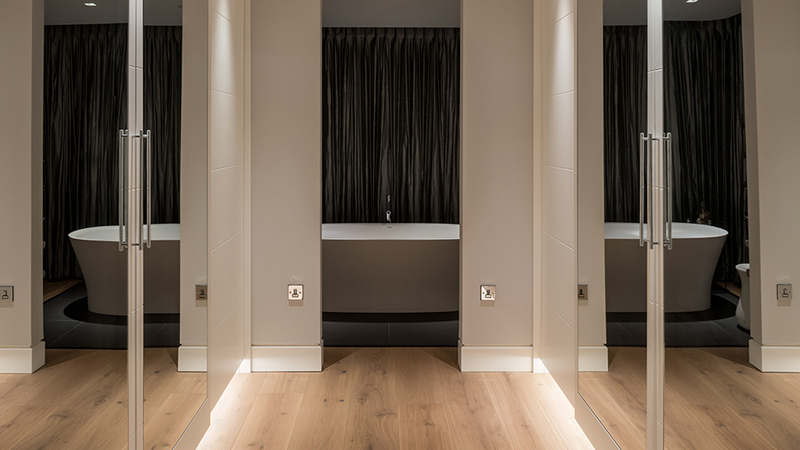 The lighting design continues with recessed magnetic track lighting to accentuate artwork, and with downlights located in key locations, for example, the master bedroom suite to highlight the freestanding bathtub. 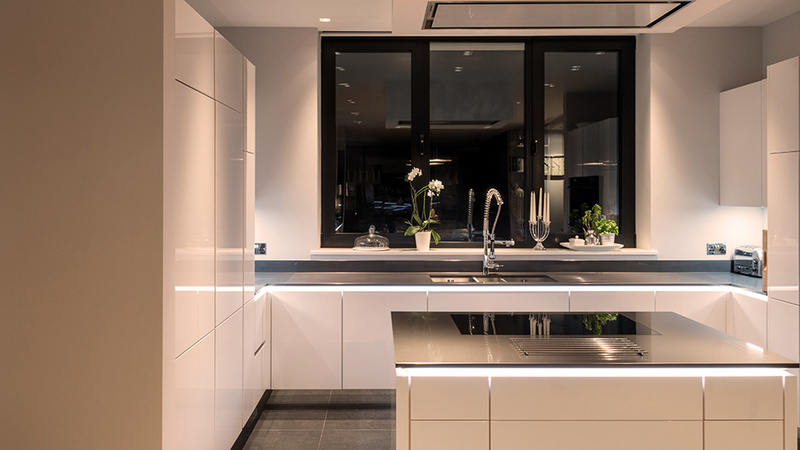 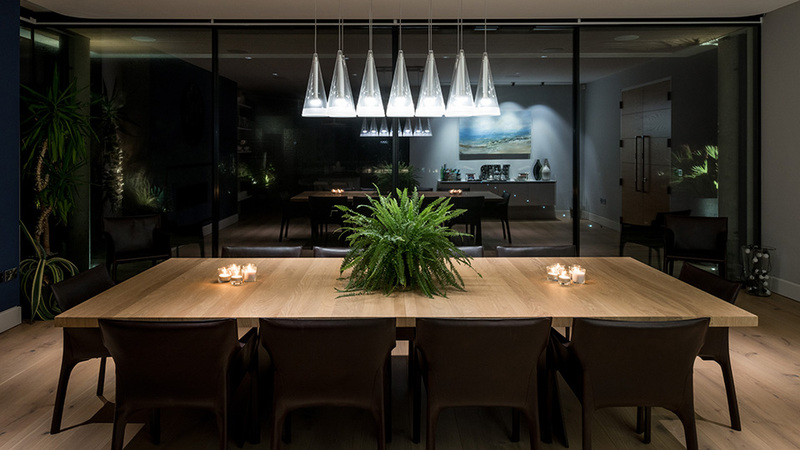 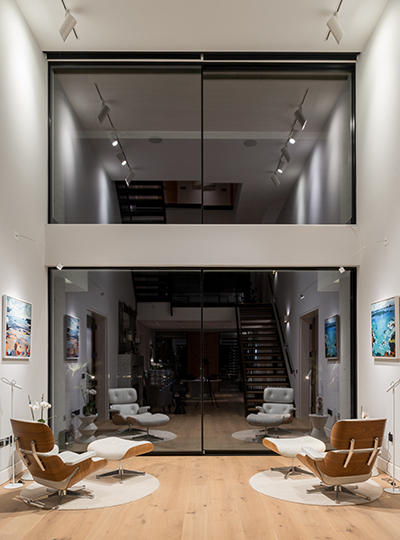 For a consistent, clean design look the downlights have the same aesthetic throughout the property, but house different optics and characteristics for a range of lighting effects. Integrated low-level illumination in cabinets, skirting and flooring add extra layers of light. 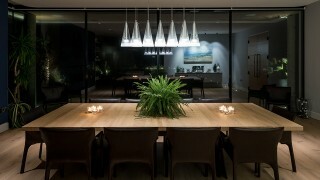 A subtle yet key lighting feature are the uplights within the floor. 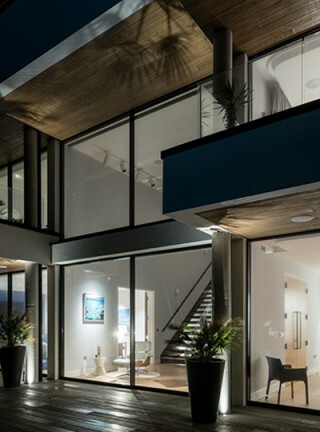 Their continuation through the atrium and out through the porch connects the interior with the exterior – an important detail when a house is constructed out of so much glass. 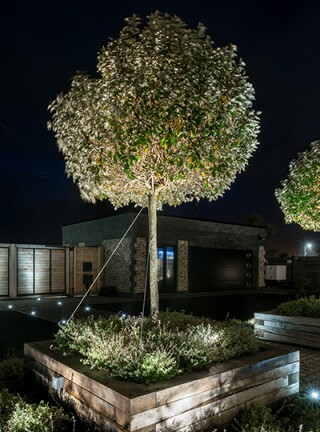 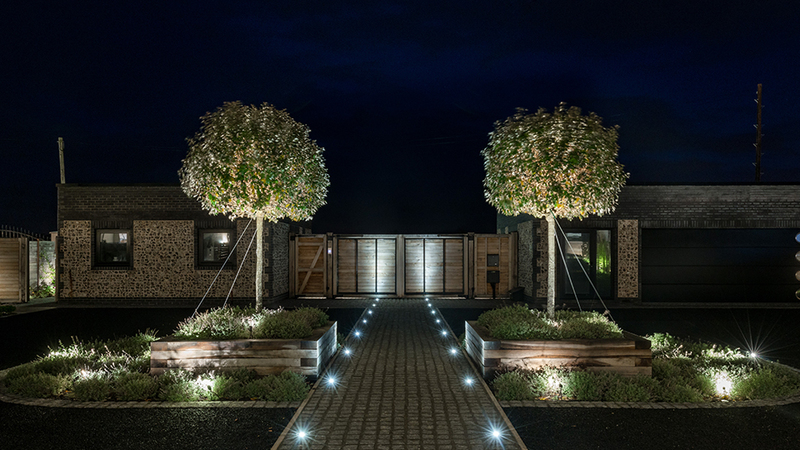 In the impeccably landscaped grounds the lighting highlights planting to define shadows, and includes luminaires that provide low-level guidance from the house down to the seafront.